Intranets were once considered the best way to share company information internally. Today, however, the technology is largely outdated – to the point that intranets are now one of the least efficient ways for businesses to manage and share information. In fact, intranets are quickly becoming obsolete and replaced by internal knowledge bases. Let’s take a look at why so many businesses are making the switch (and how you can do it, too!). If your company still uses an outdated intranet, you know how frustrating these old systems can be. They’re slow, cumbersome, and hard to navigate, so it takes forever to find the specific information you’re after. They’re often bogged down with years of outdated data. They’re difficult to navigate, which means employees can’t easily find what they’re looking for. They hurt productivity because it takes so long to retrieve information. They can’t be opened up to share with external teams. They’re often located behind a corporate firewall and can’t be accessed off site or on mobile devices. Thankfully, there’s a viable alternative that still allows companies to share internal information, but without the issues caused by old intranets: internal knowledge bases. Many companies create internal knowledge bases to manage information that employees may need access to. A modern internal knowledge base (or internal KB) makes it easy for employees to access important information across different devices and teams. An internal knowledge base (also known as an internal KB) is separate from the public database you might provide as a resource for your customers. 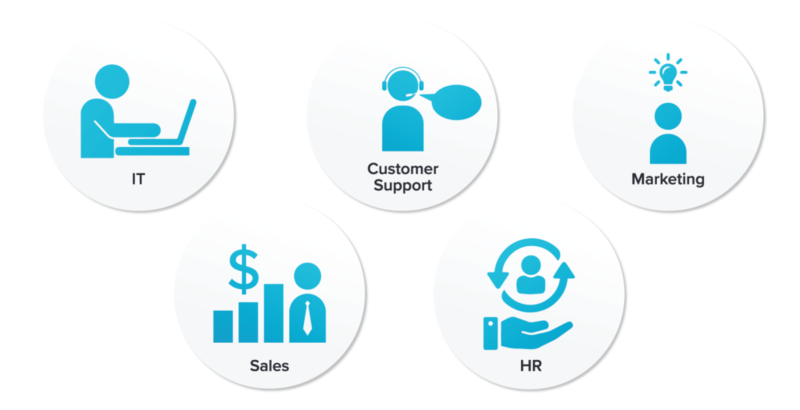 We recommend creating an external customer knowledge base to give your customers the power to resolve some of their own support issues. By offering this type of self-service support option, you can reduce the number of requests that come in to your support agents. Similarly, creating an internal knowledge base also makes it easier for your support team to keep up with demand. 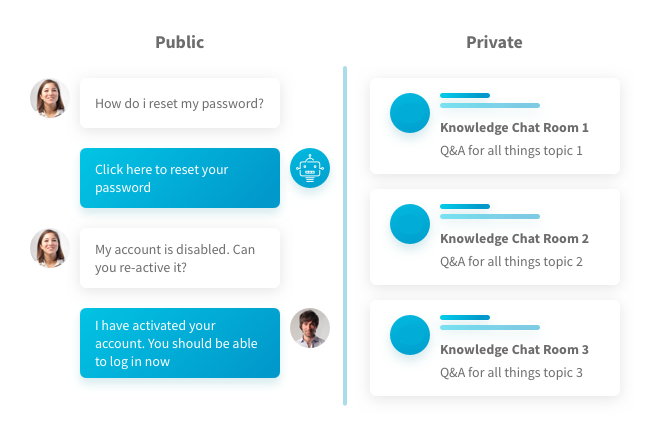 A well-designed knowledge base ensures your agents have access to the information they need to perform their best, deliver accurate answers to customer questions, and understand their role within the company. However, unlike a customer knowledge base, much of the information in your internal knowledge base is sensitive data that can and should only be seen by employees. One of the biggest issues with intranets is that they were never designed for a mobile world. If they’re stuck behind a corporate firewall or can only be accessed through a secure VPN, then they’re not much good to any employee who steps away from their desk. An internal knowledge base, however, can be accessed from anywhere – making it absolutely crucial to a collaborative workforce. Furthermore, you can grant access to outside parties if you need to share customer data with a partnering business. The more time employees spend looking for information, the worse their productivity is. Whether they’re trying to find out the specifics of their dental benefits or looking up product details to help out a client, any extra time spent sifting through information is time away from their actual role. A good internal knowledge base streamlines this effort and makes it easy for team members to quickly find answers quickly and get back to work. There is a bit of an upfront investment required to create your knowledge base, but you’ll save more time and money in the long run thanks to increased productivity and simplified internal communication. Today’s customers expect fast, efficient, high-quality service. And why shouldn’t they? With modern technology, businesses have the tools to deliver better customer experiences than ever before. So, when support agents are forced to dig through a disorganized intranet to find an answer, the customer experience suffers and wait times increase (along with frustration levels). On the other hand, with an internal knowledge base, support agents can retrieve information and solutions quickly. The faster customer service agents can locate information regarding a customer concern, the higher your customer satisfaction rates will be. Focus on crucial information first: Build up from the basics to more specific topics. Start by identifying the core questions and common problems that your team faces. Keep records of frequently asked questions to address and analyze your onboarding process to review the type of information provided for new hires. Get input from your entire team: When deciding what information to include in your knowledge base, be sure to get input from all departments. Make the effort to talk to at least one person from marketing, IT, customer support, HR, sales, etc., to find out what questions come up most often to ensure all major issues are addressed. Involve key players from each department: Depending on the size of your team, you may want to divide up topics by department and assign ownership of each section to a specific team member. This is much easier than having one or two people create and maintain the whole knowledge base and guarantees each section is managed by subject matter experts with practical knowledge of the topic. Tell people about it: Involving various team members in the creation process also has the added benefit of spreading awareness about the knowledge base. However, you should also get the word out via email and explain exactly how employees can access it. Once the knowledge base is ready for use, you want employees to know that it exists so they can refer to it instead of asking HR or wasting time on unnecessary research. Make it easy to navigate: Regardless of how you structure your knowledge base, be sure to include a simple search function to help employees sift through content quickly. The point of a creating an internal knowledge base in the first place is to save time, so it needs to accessible and easy to navigate. Plan for regular updates: It’s important to regularly review and update the data so it remains accurate. This gives you a chance to remove anything that’s no longer relevant and add new content as necessary. So, decide how frequently you’ll update the content and stick to the schedule. If you’ve assigned ownership of different sections to department heads, have them follow the same schedule so every part of the database receives updates on a consistent basis. An integrated internal knowledge base is one of the keys to providing collaborative, omnichannel support. Relay makes it easy to share information across different departments and organizations, so everyone on your team has access to the data they need to deliver exceptional customer experiences. Sign up now to get monthly updates on the latest and greatest content and tips from our blog, sent straight to your inbox.